Happy Veterans Day, and a huge THANK YOU to all who have dedicated their lives to serve our country. There is a great little list here of places offering freebies to veterans today, and a nice recap of why we celebrate the day here. 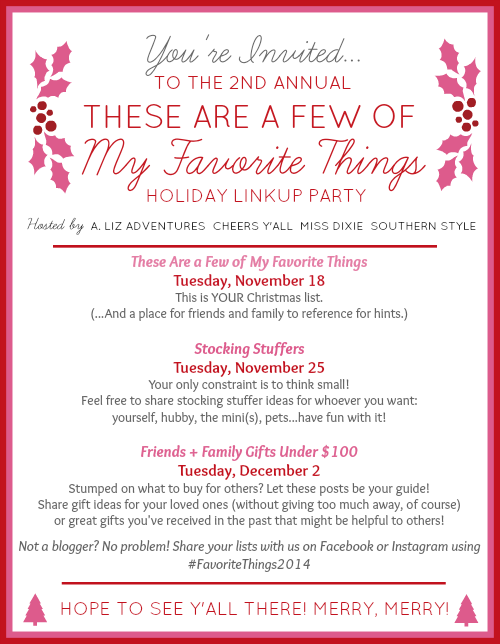 In other news, I am more than excited to announce an excting linkup that I am co-hosting along with Elise, Katie, and Zelle! Here are all the details for this year as I'm doing a little happy dance out of excitement. Need ideas or a point of reference? 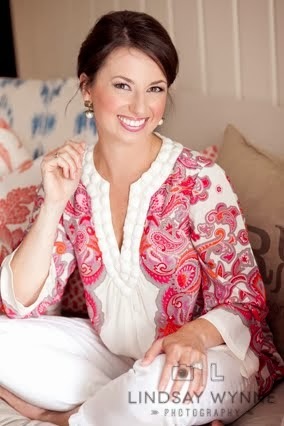 Check out Elise's posts from last year. 1. Plan your posts! We'd love to have you for all 3 weeks, but feel free to pick and choose if need be! 3. 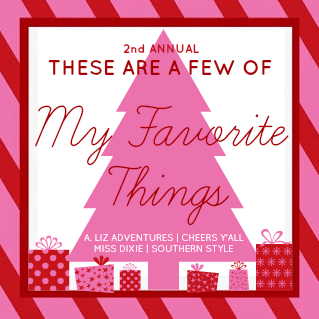 Link up at the bottom of our posts for the next 3 Tuesdays, and/or join us on Instagram/Facebook with #FavoriteThings2014. Each week, the linkups will go live at 9am Eastern time. If you'd like to participate and you are wondering how to corral all of your items together, I'm personally a big fan of Polyvore! It is free and it lets you make collages of items and then post directly to your blog. Just make sure to click the "Post as draft" option so it doesn't upload automatically without you being able to add your commentary. Great idea! I've already started getting my gift lists ready. Can't wait to share! Thanks for putting this all together. Great ideas! I'm already in the Christmas spirit but haven't bought all my gifts so this should help! I love this! Thank you ladies for hosting! count me in my dear!!! So much fun! Can't wait to join in! This is so fun! Can't wait to get some great gift ideas! How fun! I'm definitely going to participate! This will be so much fun! I cannot wait to see everyone's selections. Happy Tuesday, April :) Have an awesome day! I loved Elise's linkup last year! Can't wait to linkup again! Yay so excited about this link up. Looking forward to it! Just wanted to let you know in case you still need a Xmas stocking for baby c, pottery barn & pottery barn kids are having free mionogramming, shipping & many styles on sales through tonight! Thought you might enjoy! What a wonderful idea. So looking forward to this. Thanks for doing this.